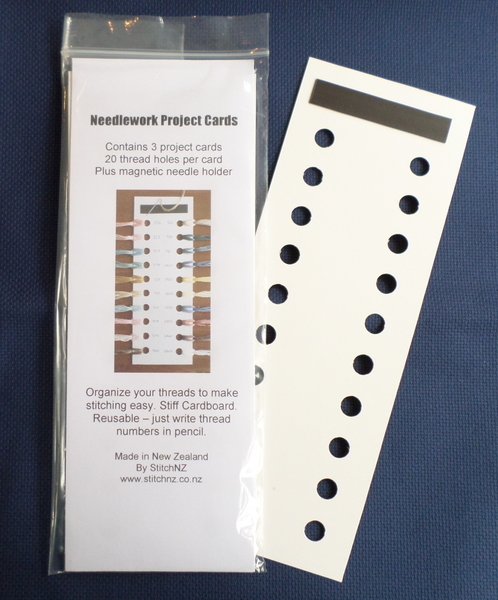 Pack of 3 Project Cards to organize your threads & needles for your needlework project. 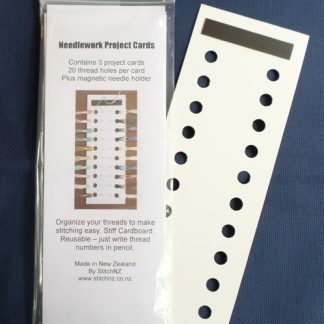 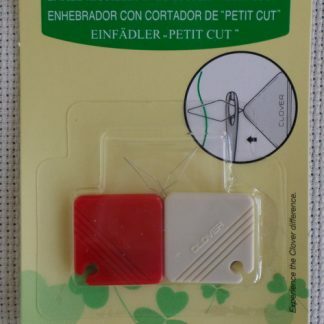 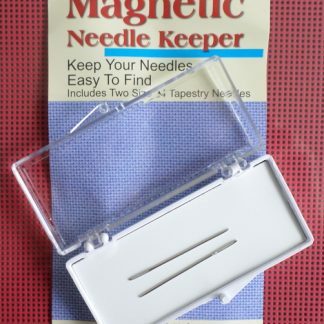 Cards have 20 large holes to hold your threads plus a magnetic strip needle holder. 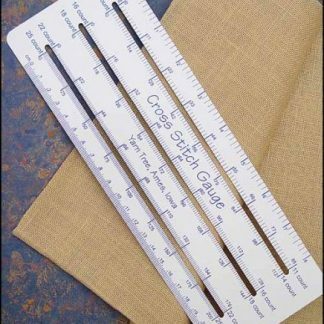 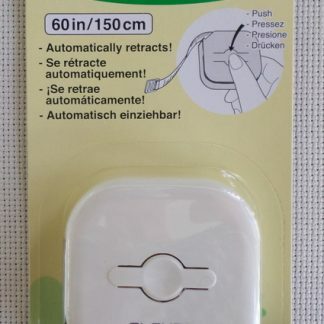 Reusable – just write the thread numbers in pencil. 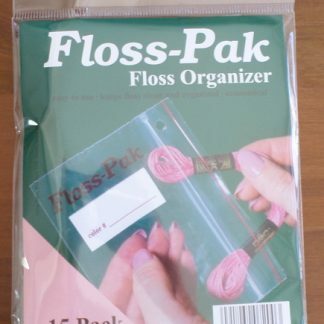 Stiff cardboard.